The exit of Rivers United from the continent stung more than one thousand bees. The fact it happened in front of loyalists is even more disheartening. I say ‘exit’ because I honestly don’t think they can beat FUS at d Stade de FUS, Rabat in their final group game. A team who finds it difficult to score goals and at a point held the worst away record in the division can hardly conjure magic on the continent where quality oppositions reign supreme. Immediately after their (0-2) defeat to Club Africain, a top ranking member of the backroom staff tendered his resignation to the board but had it rejected. Why? He considers the result a ‘let down on Nigerians’. In his words “I’m shattered. I’m resigning. We disappointed Nigerians.” This seems unorthodox as we hardly find individuals in authority from this part of the world take responsibility for failure in whatever capacity. But again, resignation doesn’t change the result. It only magnifies the profile of the individual. As always, there’d be consequences for such performance. The general consensus now by most is to have the team management completely overhauled. Personally, I think if this route is taking by the owners (State Government), it would be akin to treating a migraine with fungi lotion and would only do more damage than heal. Reading texts and listening to umbrage exclamations post match is always enlightening; more so when it emanates from stakeholders. But the fans would want to tread softly in their pursuit to have the club’s coach replaced without deep considerations for his potential successor. Stanley Eguma is totemic; he’s been with the team since 2001 long before the merger of Sharks and Dolphins, replacing him as coach should be based more on ABILITY than LONGEVITY. What the team needs now is proper organization and a complete managerial autonomy in player selection. This aside from ameliorating reports of internal wrangling at United would help reposition the team in her quest to finish in a respectable position in the league. Rivers United were flawless in their CAF Champions League preliminary game against Malian side AS Real Bamako, securing a (4-0) aggregate score line. All four goals coming in the return leg at the Yakubu Gowon Stadium, Port Harcourt. Bernad Ovoke and Esosa Igbinoba recorded braces. In the first round, the pride of Rivers took on Al-Merrikh of Sudan. After what many considered a comfortable (3-0) home win, their pride was lost in the desert as they suffered a (0-4) loss at the Al-Merrikh Stadium, Omdurman which relegated the team to a CAF Confederations Cup Play-off fixture against Rayon Sports. 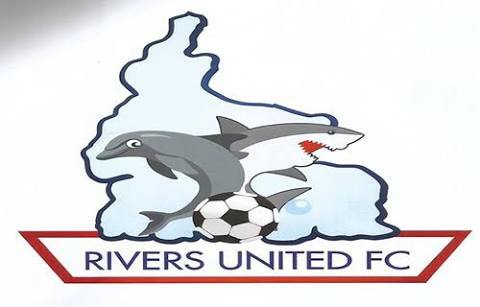 As expected, Rivers United secured a (2-0) aggregate win over Rayon to qualify for the group stages. All that is left to envelope this sojourn is a final group game against Fath Union Sport de Rabat. No miracles. This is the END!